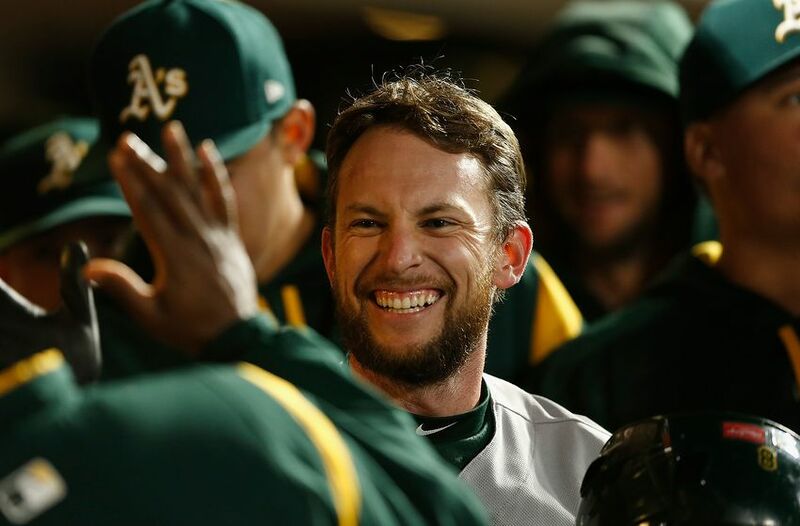 Jed Carlson Lowrie was born on April 17th 1984 in Salem, Oregon. The six foot switch hitting infielder, attended Stamford University, where he was a Pac-10 Player of the Year & two time All American (2004-2005). He was the Boston Red Sox first round pick in 2005. 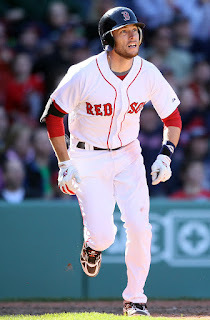 In 2007 he was the Sox minor league player of the year, making the All Star team & was the AA Portland Sea Dogs MVP. Red Sox: He was quickly promoted to AAA Pawtucket & began 2008 there. When the Red Sox third baseman Mike Lowell went down with injury, Lowrie got an early season call up. On April 15th, he made his debut, driving in three runs in a 5-4 win over the Cleveland Indians. On August 1st, he drove in both runs, including a 12th inning walk off hit in a 2-1 win over the Oakland Athletics. That week he drove in 11 runs in just six games. Later that month he hit a game winning 11th inning HR against the Toronto Blue Jays. In his first season he hit 25 doubles in 81 games. Post Season: The Red Sox went into the post season with Lowrie & Julio Lugo both sharing the short stop role. In Game #4 of the ALDS against the LA Angels, Lowrie hit a 9th inning walk off single off Scott Shields to advance the Red Sox into the ALCS. Boston would los to the Tampa Rays four games to three. He would play in one more post season with Boston, losing the Division series to the LA Angels. Trivia: In a 2009 exhibition game against the New York Mets, Lowrie hit a grand slam which is technically the first HR hit at Citi Field. 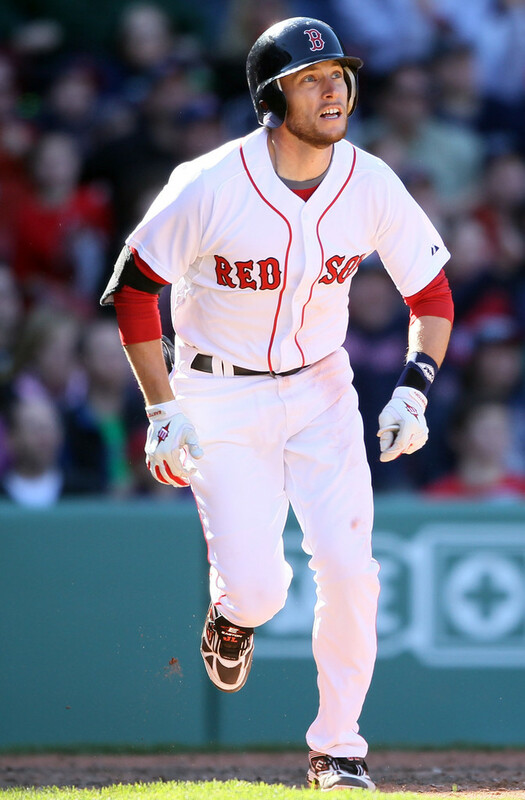 He spent four seasons playing part time in Boston, batting a best .287 with 9 HRs & a .381 on base % in 2010. That year he also had two multi HR games & a August 21st hit a walk off HR to beat the Toronto Blue Jays. 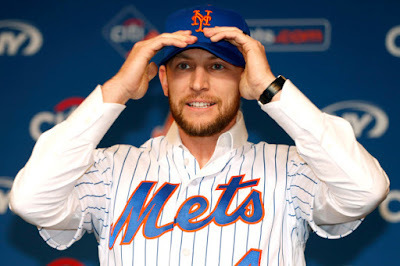 He was traded to the Houston Astros for Mark Melancon for the 2012 season. That year he hit 16 HRs while batting .244. 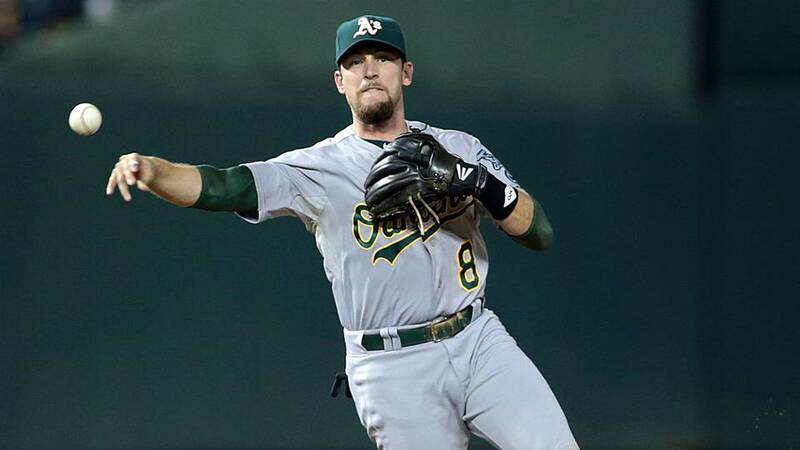 Oakland A's: In February 2013 he was traded with Fernando Rodriguez Jr. to the Oakland A's for Chris Carter, Brad Peacock & Max Stassi. In first season in Oakland he batted .290 with 15 HRs 45 doubles (second most in the AL) & 75 RBIs for the first place A's. In the ALDS loss to the Detroit Tigers he hit a two run HR in the Game #4 loss. The next year he broke his index finger, missed time & his numbers fell off. 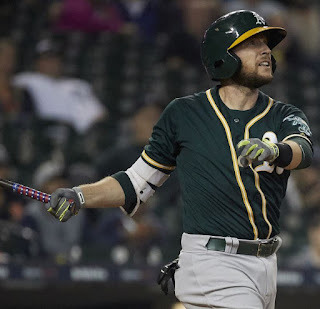 Houston Astros & Oakland A's Return: The next year he signed a three year deal with the Houston Astros but after one season was traded back to the Oakland A's. In Oakland he was now primarily playing at second base. In 2017 he played in 153 games batting .277 with a career high 49 doubles (second in the AL) 14 HRs 69 RBIs & a .360 on base %. He followed that up with his best season of his 11 year career. In 2018 he was named to the AL All Star team while already having 16 HRs & 62 RBIs at the break, while batting .288. On August 12th he had his 1000th career hit & two days later hit his 100th career HR. For the season he had career highs in HRs (23) RBIs (99) walks (78) both of which were 8th best in the AL, playing in 157 games (6th most in the AL). He helped lead the Athletics to a wild card berth, but was 0-4 in the Wild Card game loss. 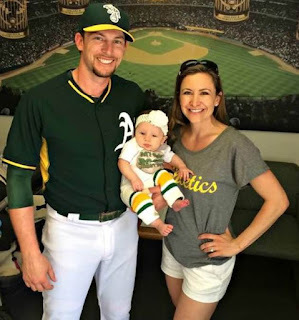 Career: In his 11 year career he has batted .262 with a .335 on base % with 259 doubles 17 triples 104 HRs & 509 walks with 438 walks & 744 Ks in 1109 games. The talented & very versatile infielder has played 508 games at short, 412 at second, 145 at third base & 11 games at first. He turned 525 double plays with an overall .979 fielding %. In 2018 he posted the best fielding % among AL second basemen (993%) with the most assists. His .974 career fielding% at short is 54th best all time. On January 11th he signed a two year deal with the New York Mets worth $20 million. 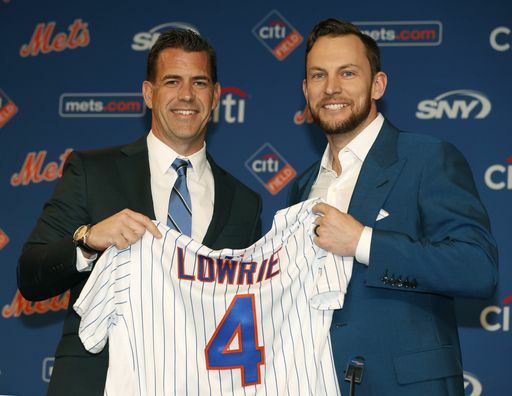 He was signed by new Mets GM Brodie Van Wagenen who use to be Lowrie's agent. 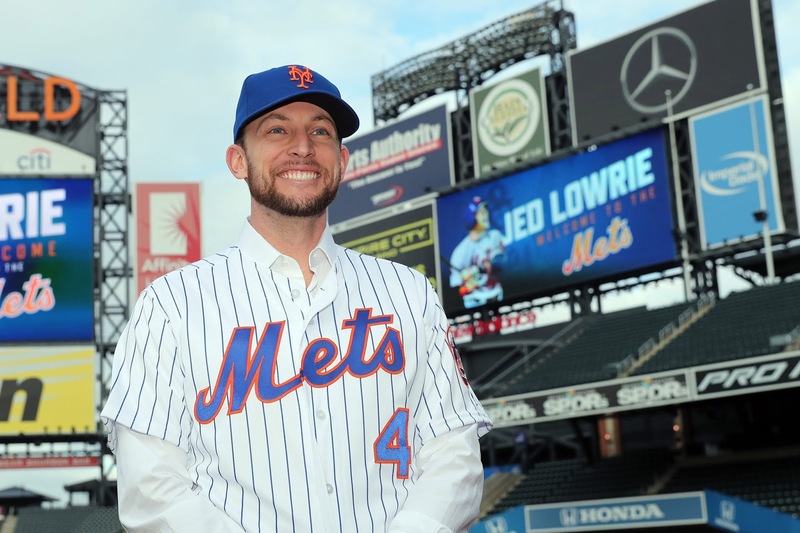 He joins a crowded infield that now has depth & versatility. Lowrie can play all infield position & is regarded as one of the games best defensive veteran fielders. He puts up good on base % with good patience at the plate & hits lots of doubles, with the ability to drive in runs as well as be on post season teams. 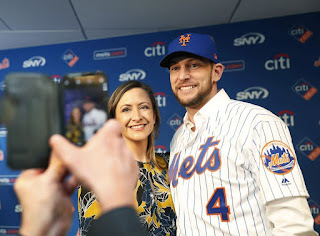 In Spring Training 2019 he was sidelined with injury for most of the preseason. Family: Jed met his wife Melissa Muchmore while at Stamford, where she was a pole vaulter & track runner. She is a US diplomat & the two enjoy traveling together. They have been married since 2011 & have two children. Jed's hobby is photography & wines. He says he collects mostly reds but has some white wines for his wife.